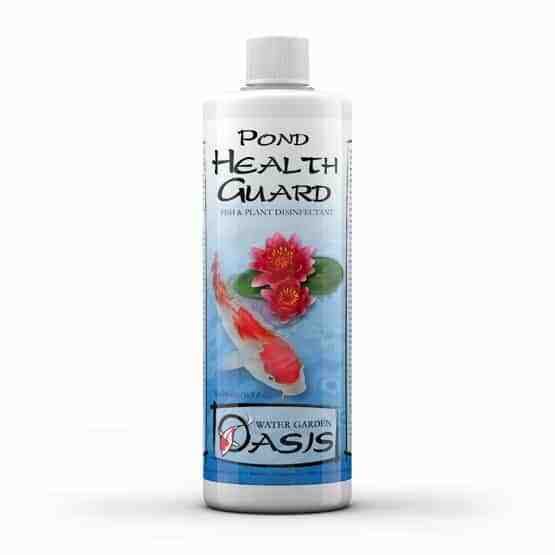 Pond HealthGuard™ is a safe disinfectant to promote the control of parasitic, bacterial, fungal, and viral infestations of fish in ponds. It contains no malachite green or other dye based disinfectants that can discolor or quaternary disinfectants that foam. 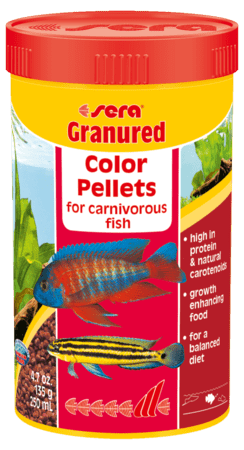 Used as directed, it is safe for fish, plants, and the biological filter. A 2 Liter size treats over 4,000 gallons. Use 125 mL (half a cup) per 1000 L (250 US gallons) daily until conditions improve. Dispense product widely to avoid localized overdose. Use 125 mL (half a cup) per 2000 L (500 US gallons) daily for about a week thereafter. To calculate volume, multiply average length by average width by average depth. To obtain Liters measure in meters and multiply by 1000; to obtain gallons measure in feet and multiply by 7.5. To obtain average dimensions of irregular shaped ponds (e.g., kidney), take as many measurements as practical to avoid overestimation and consequent possible overdose. Account for water displacement by potted plants, rocks, or other decorative materials. Pond HealthGuard™ is safe for most fish under most circumstances. Since use of any treatment is not without risk, it should not be used carelessly. For prophylactic purpose, use 1⁄4 dose. 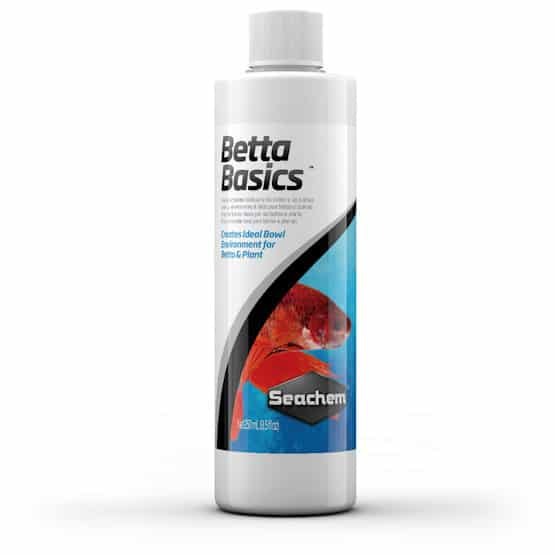 If many fish are to be treated, first check for susceptibility to stress with a few fish. If fish show stress (surface breathing or other abnormal behavior), do not redose. If signs of stress are acute, promptly initiate water replacement to dilute product. If uncertain about susceptibility to stress, use 1⁄4 to 1⁄2 dose and proceed with caution. Pond HealthGuard™ should not be used in conjunction with other treatments. Do not use if copper or zinc are present. Do not use if Dimilin has ever been used (a 100% water change must be done to remove all traces of Dimilin). Do not use if oxygen levels are depressed or water exceeds 30 °C (86 °F). In most ponds, product does not persist longer than 24 hours, but may in exceptionally clean water. In such cases, redosing should be delayed. If added to hazy water there may be oxygen depletion. In such situations, be prepared to replace water with oxygenated water. Death or rapid release of gill flukes may cause gill stress with some species. WARNING: Contains buffered glutaric dialdehyde. Avoid any contact with eyes. In case of eye exposure, promptly wash with copious amounts of water and seek medical attention. For decorative pond use only. Do not use in natural bodies of water. Keep away from children. Do not eat, drink, or get into eyes.